The recent interest in using biomass as a sustainable precursor for carbonaceous catalysts has resulted in a variety of studies involving different chemical reactions. Biomass is often pyrolysed to biochar and then may be further processed to activated carbon. Both the biochar and activated carbon can be used as carbonaceous catalysts, potentially with functionalisation to carbocatalysts. This chapter summarizes work to date on these biomass-derived catalysts with comparison to catalysts from other carbon sources and materials, and provides a perspective on their future use. Specific topics include the emergence of biomass-derived carbonaceous catalysts as base catalysts to take advantage of their alkali content, as functionalised acid carbocatalysts for biodiesel production, as gasification catalysts, and as catalysts for the electro-Fenton oxidation reaction. 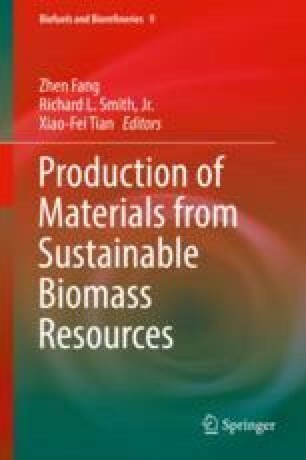 Suitable biomass feedstocks, their properties, and the properties of the prepared catalysts are also reviewed. We thank the Natural Sciences and Engineering Research Council (NSERC) of Canada and the Canada Research Chairs Program for funding this work. Individual funding was provided by an Eyes High Postdoctoral Scholars Award (VMJ) and NSERC post-graduate scholarship (RAA).